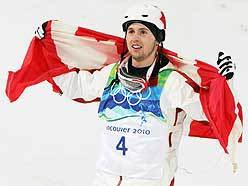 Congrats again to Alexandre Bilodeau and the rest of the Canadian athletes - you're making us proud! I also nominate him as a completely hetero hotty of the week. I cried my face off watching the story of him and his brother. SO amazing!